Can You Fly to Canada with a DUI? Any foreign national flying to Canada that has an alcohol-related driving arrest or conviction on their record may be prohibited from visiting the country after arriving at a Canadian airport. When flying into Canada, all passengers entering the country must go through border security after the flight lands before they will be legally sanctioned to enter Canada. Foreign nationals that are determined to be criminally inadmissible may be denied entry and held at the airport until they can be flown back home. If you plan to fly to Canada with a DWI, it may be smart to consider hiring a lawyer to prepare an application for Criminal Rehabilitation and/or a Temporary Resident Permit to avoid the risk of getting denied at the airport. Even if your case is still pending trial and you believe that the arresting officer did not have a valid reason to pull you over and handcuff you, until you have proof of a "not guilty" decree by the court (or other favorable conclusion) border security might not let you step on Canadian soil after an impaired driving arrest. If you are inadmissible to Canada because of criminality, there are two ways to petition the Government to let you in. 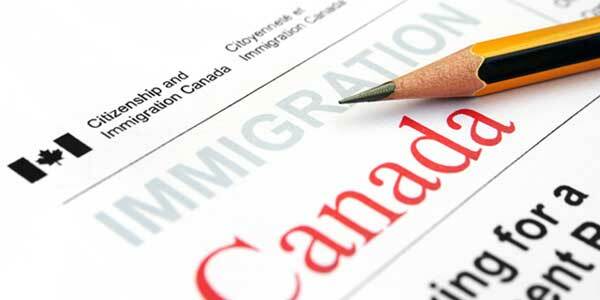 A Temporary Resident Permit (TRP) can overcome criminal ineligibility for up to 3 years. Advanced permission to fly across the border with a driving while drunk offense can be obtained in the form of a TRP in only a few months. Temporary Resident Permits can also be applied for at the border in emergency scenerios. Criminal Rehabilitation (CR) can permanently fix admissibility issues, allowing a US citizen to fly into Canada for the rest of their life. Canadian Rehabilitation has a processing time of approximately 12 months, however, so many people apply for both a TRP and CR. Need to fly into Canada with a DUI? Contact us today for a free consultation. Even if you are a member of the flight crew, a DWI can cause you to be refused entry to Canada. Regardless of whether you are a flight attendant, airplane pilot, business traveler, or a tourist, flying to Canada with a DUI can be problematic if you do not plan ahead to overcome your criminal inadmissibility. It also does not matter if you fly across the border in a private jet, CBSA officers at the border will not ignore Canada's DUI entry rules just because you did not take a commercial flight into Canada. In addition to driving under the influence (DUI) and driving while intoxicated (DWI), being arrested or convicted of operating while intoxicated (OWI), driving while ability impaired (DWAI), and wet reckless driving can result in issues at the border. Other criminal offenses such as assault or drug possession can also make it difficult to fly to Canada without running into problems. Citizens of the United States do not require an Electronic Travel Authorization or eTA in order to fly to Canada, but citizens of other countries such as Australia, New Zealand, Japan, Ireland, Germany, and the UK must obtain one before they can board a flight destinated for Canada. If you are criminally inadmissible to Canada, you may be refused an eTA until you are issued a Temporary Resident Permit or Rehabilitation. It is not possible to apply for an emergency TRP at a Canadian airport if you need an eTA to fly to the country, since you will not be permitted on the airplane without first being given official travel authorization. Consequently, Green Card holders with a DUI that need to travel to Canada very soon will often drive to the border with a TRP application to avoid flying. Toronto Pearson International Airport is by far the busiest airport in Canada by passenger traffic. The second busiest airport in the country is Vancouver International Airport. The Calgary International Airport and Montreal Pierre Elliott Trudeau International Airport are roughly equal, with both airports handling between 15 million and 16 million passengers per year. Other major airports in Canada are the Edmonton International Airport, Ottawa Macdonald-Cartier International Airport, Winnipeg James Armstrong Richardson International Airport, and Halifax Stanfield International Airport. The Canada Border Services Agency (CBSA) operates in all of these airports, so regardless of which Canadian city you are flying into with a DUI you will be required to go through border security in order to enter Canada.